If you’ve come to Hoi An for a relaxing stay, you’re in luck. The town and surrounding area contain a collection a four and five star hotels and resorts, all-in-one complexes that cater to your every need. Beach front villas are common, as are comfortable bungalows with breathtaking views of the sea. Don’t let the modest descriptions fool you, however. 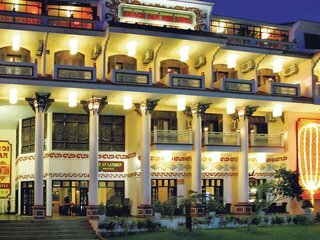 The fine resorts housing these gems have full amenities and facilities, including trained masseuses, elegant pools, fitness centres, first class dining, gaming rooms and bars, evening entertainment and everything else needed to complete your stay. 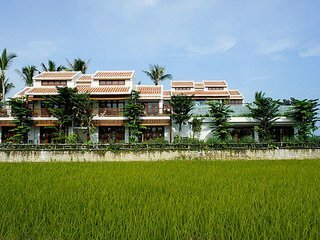 While they are countless options along the coast, if you wish to stay in town, there are hotels and resorts in Hoi An closer to the centre that do a bang-up job competing with their water-lined comrades. 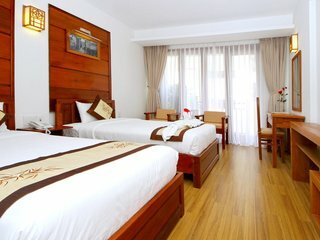 Start at the Hoi An Hotel, nestled in the Old Quarter and outfitted with all of the quality services offered by their rivals. Their Zen Spa, the first of its kind in Vietnam, is renowned for its treatments and favoured by locals and travellers alike. 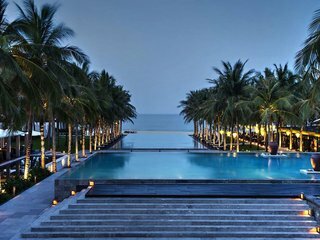 For a nice mix, try one the Hoi An hotels and resorts facing the river, it will give you the relaxation of waterfront property and the proximity to the town’s major sights.